Fifth year coloursman. A right hand batsman opening batsman with compact style and crisp strokes. Senaka possesses a calm temperament and infinite patience. This has often prompted spectators to "label" him a show player. Yet he has rescued the side on many an occasion with his intelligent batting. A useful left arm leg spinner. A very good close in fieldsman. The 51st battle of the maroons ended in a draw. Fourth year coloursman and a rigt hand attractive batsman. Fast medium pace bowler. He has scored three centuries so far. 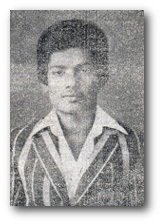 Experienced cricketer in club cricket. Very good fielder in any position. 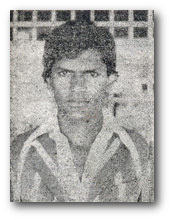 R. Deepal Dharmasekara, Charith Senanayake, Brendon Kuruppu, Senaka Ekanayake (Captain), Rohitha Perera (Vice Captain), Adel Hashim, Arjuna Ranatunge. 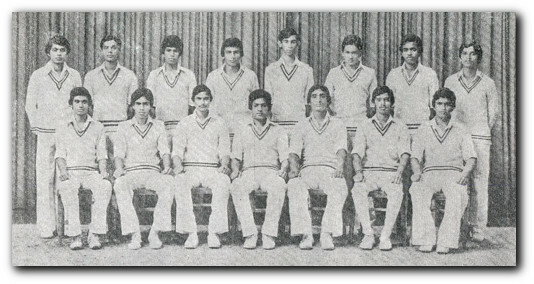 R. Sujeeva Premachandra, Anil Wickramarathne, Kamal Dharmasiri, Dhammika Ranatunge, Ranjan Ranatunge, Ayesh Weerakkody, Oshadie Weerasinghe, B. Algama. 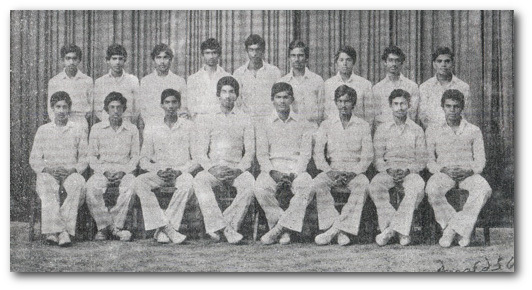 R. Nihal Pitigala, Devaka Mahanama, Sanath Kaluperuma, Bandula de Silva (Vice Captain), Shammi Silva (Captain) Keerthi Ranasinghe, Roshan Gunaratne, Samantha Guruge. R. Kushan Weerasinghe, Dharshana Mohotty, H. M. Keerthi, Deepal de Silva, Hasitha Caldera, Luxhman Gunatilake, Lalith Sagara, Dushan de Zoysa, Gihan Weerasinghe.